11 new dies that is!! 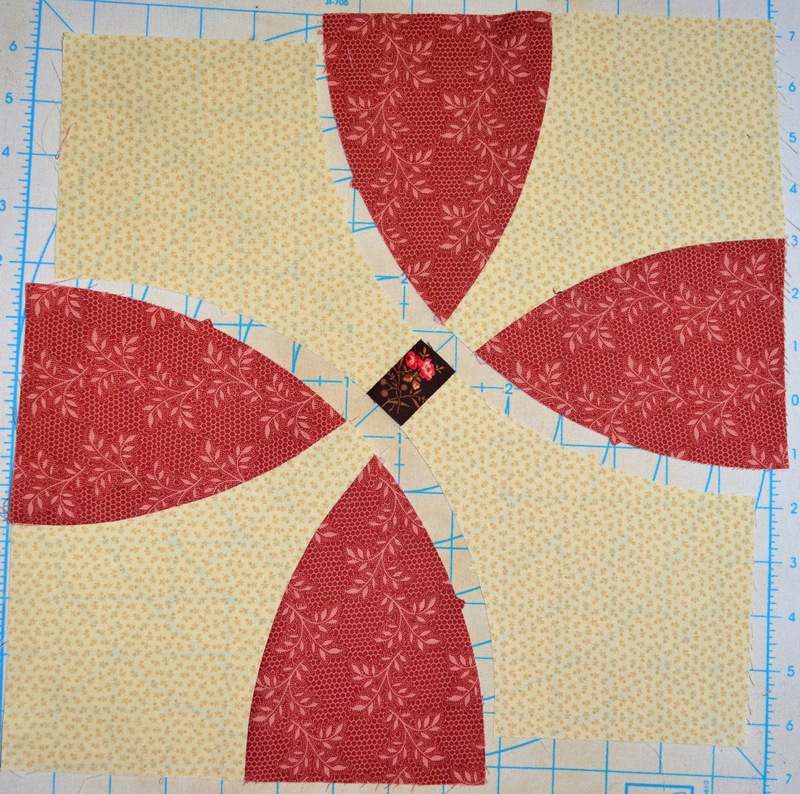 And they asked me to participate in their Block Party Blog Hop to feature one of their new dies!! I couldn’t be any more excited to join in! You can view my first blog post here. 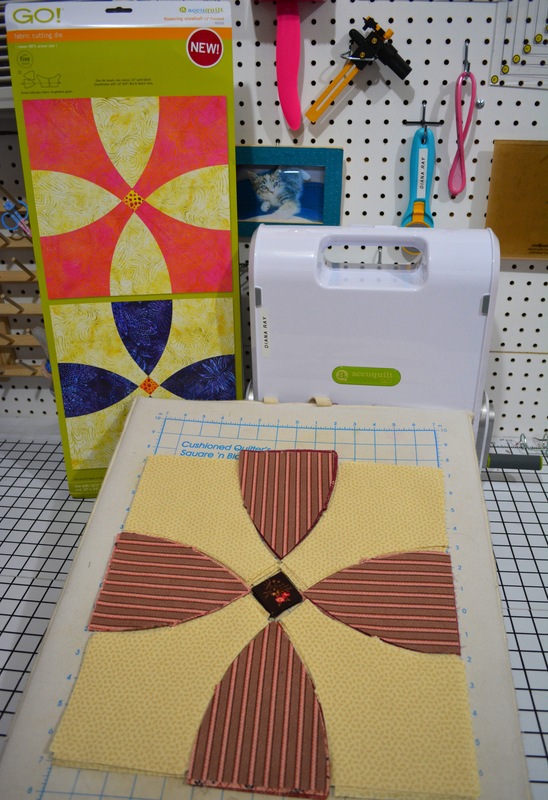 AccuQuilt has 11 neat new Dies, you can peruse and shop for them here. I decided to pick the Flowering Snowball die, which has been so FUN to play with!! Getting my fabric cut was so easy and fast! I spent about 5 minutes TOPS cutting all of my fabric, and I was ready to sew away! 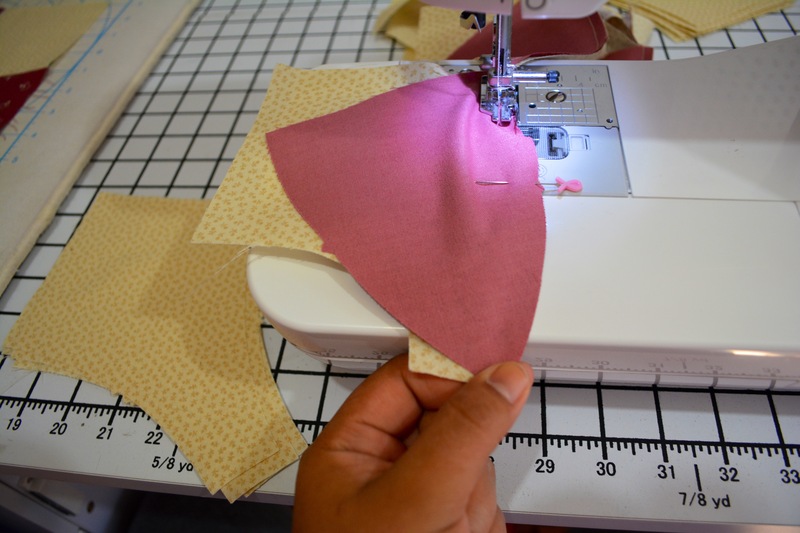 If you haven’t sewed curves, you must try this new die! Even Jeanie said she could get those blocks done in her sleep! 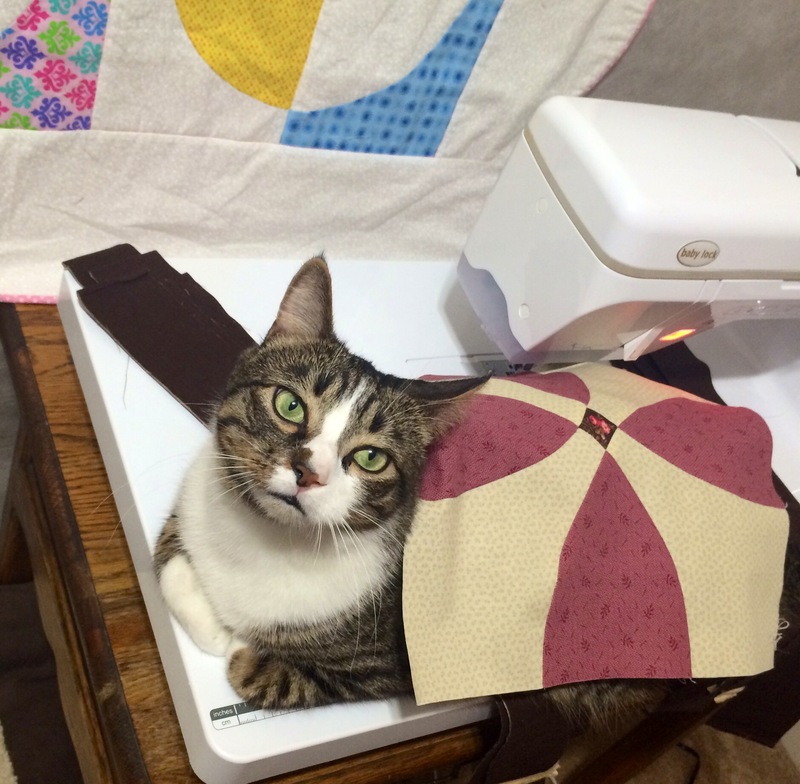 AccuQuilt has made quilting so easy, you just keep sewing and sewing! 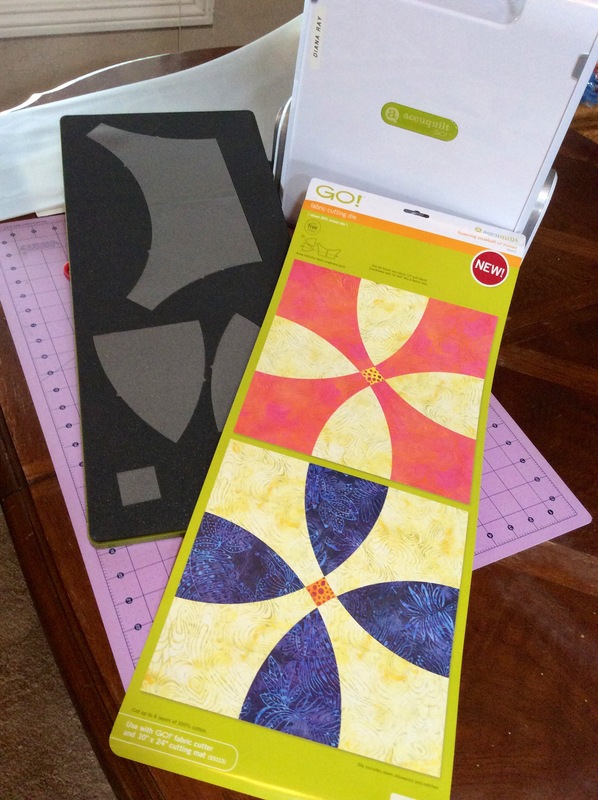 Do you have an AccuQuilt cutter yet? After making myself stop at 30 blocks, Ray decided that I needed to add a border of some sort. 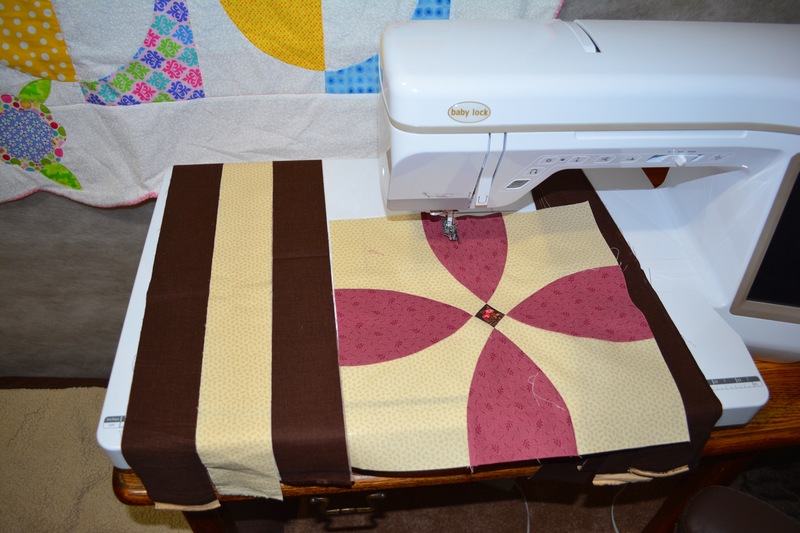 I added a brown and beige triple “rail” border. I also added a 9-patch block in the corners. 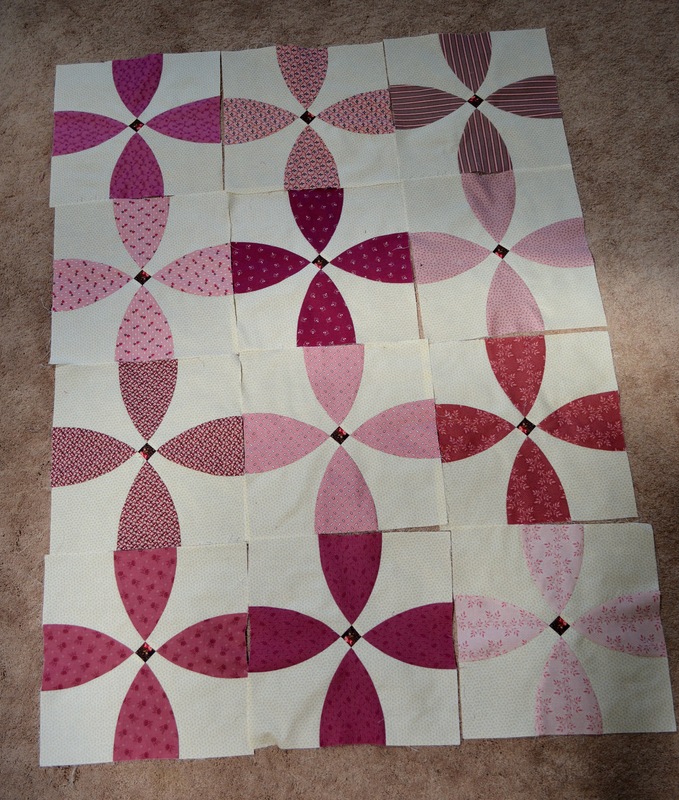 This quilt top has been one of the easiest quilts I have made thus far! 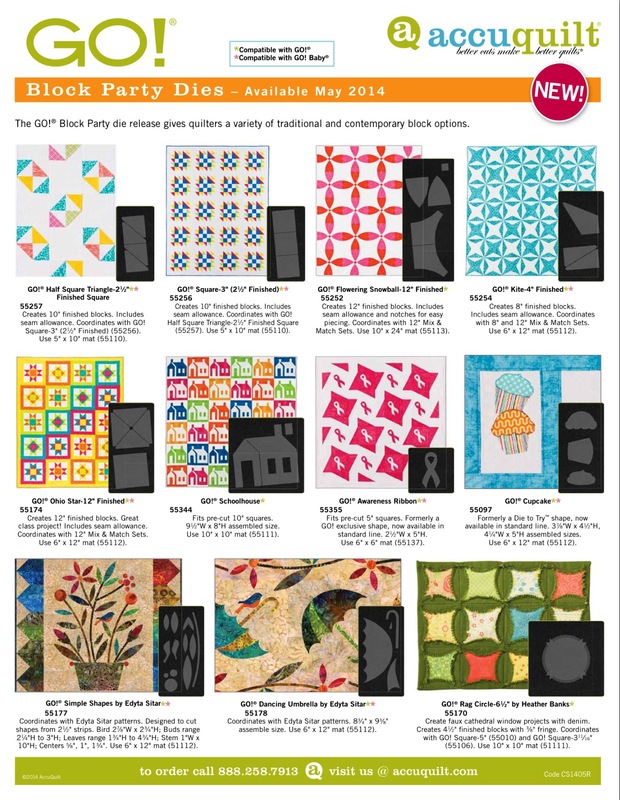 And with all of these new dies from AccuQuilt, I’m going to crank out quilts faster than ever! 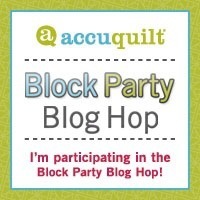 Thank you again, AccuQuilt for letting me participate in your Block Party Blog shop! This was such a fun and easy project, I will definitely get lots of use from this die! What a beautiful quilt! 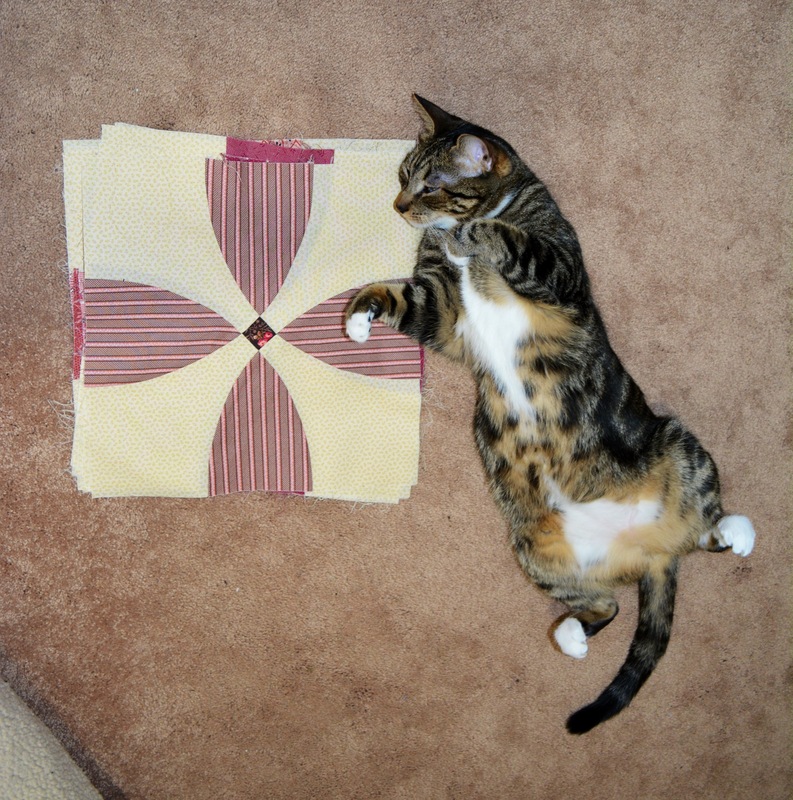 How big did your quilt turn out to be? Thank you for sharing! I’ve ordered my die to make it today. 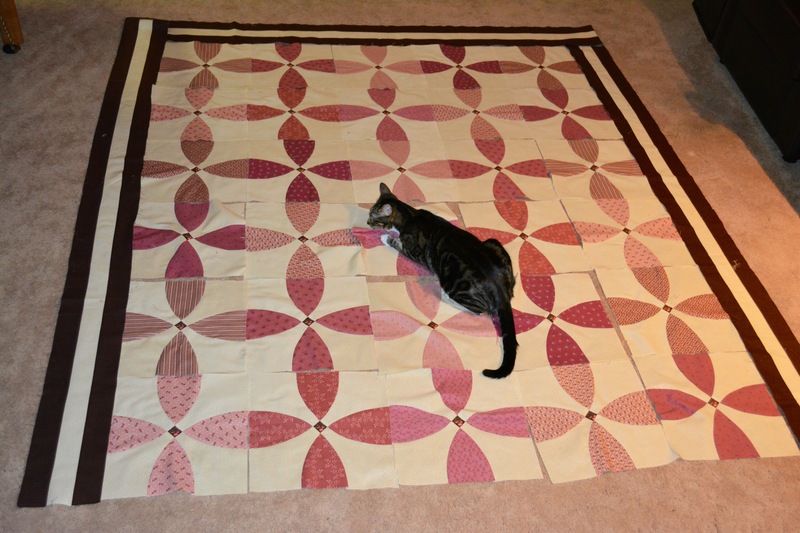 I have to agree with Ray….what a beautiful quilt! This die really looks like it would be fun to use, thanks for sharing! 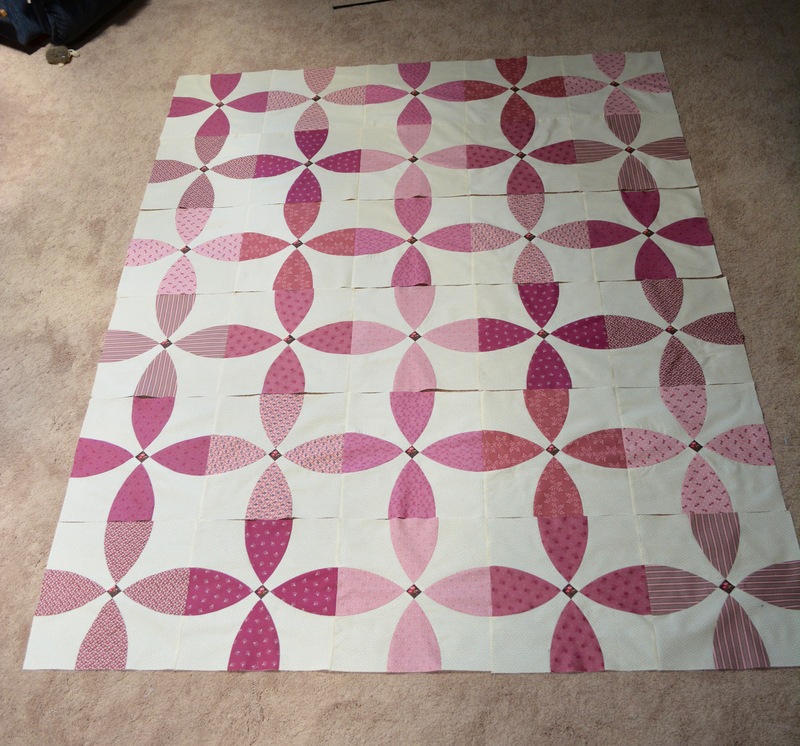 Love hearing how easy it was to make this quilt! Your quilt is beautiful and this die looks like a lot of fun. 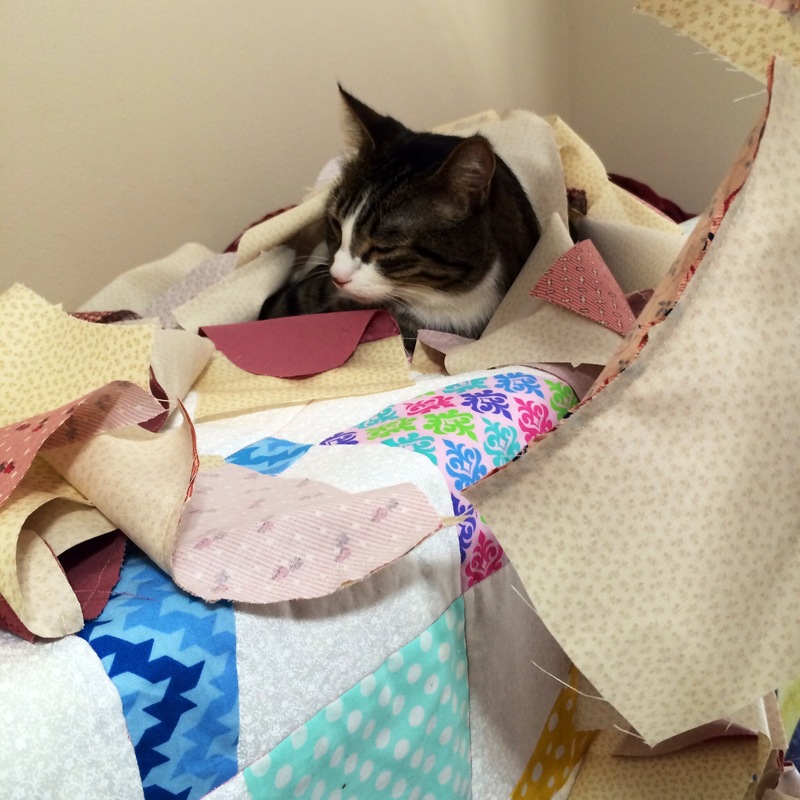 What a lovely quilt top you have made Diana! Beautiful palette. Love those rail borders. Looks great!